In a word, yes. But by following 2 simple rules you can avoid most problems with honey. “Honey when used after cooking it kills (tissue)” – this is the statement from Sutrasthana chapter 5 in the Astanga Hrdayam (one of the Ayurvedic medical textbooks). Not “honey is bad” or “honey damages”, but “honey kills”. It’s a strong word from the Sanskrit translation. 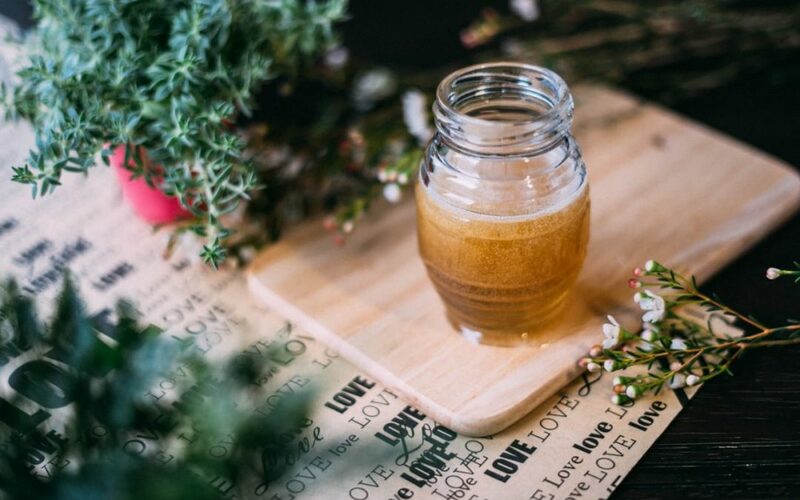 It goes on to say honey will have the same forcefully destructive effect on people who have symptoms of very high heat, or if used in the summer season, hot countries or with hot (spicy) foods. We use it in medicinal preparations like the very famous (and very delicious!) chyawanprash, a rasayana for recovering from depletion and panchakarma, amongst other uses. What you need to know it that honey is definitely toxic to body tissue when heated above 68℃ (154℉). So what does that mean for you? Ideally, follow these 2 simple tricks to make sure honey. Now, there’s one workaround that Ayurvedic practitioners use in clinical practice, and I sometimes share it with clients who are undergoing a radical change in the way they’ve been eating. The loophole is when you first mix honey with an oil first, it protects the honey from becoming toxic when mixed with boiled water. I find it important to provide a variety of “transition” recipes, for the range of clients who might be making changes from a very bad diet. If the diet has really been packed with store-bought sauces, takeaway, and generally processed convenience junk that it’s a stretch to really classify as food because they’re not actually providing nutrients to the body, my policy quickly shifts from directly recommending a squeaky-clean diet to instead focusing on cooking, and eating “better than before”. People who have poor diets like I’ve described above crave higher and higher amounts of sugar in their meals. So if they’re accustomed to marinating with a super sugary sticky store-bought sauce, or highly sweetened sauces from takeaway, I’d rather help them transition to start cooking familiar foods at home, creating marinades by mixing honey with oil, until their taste naturally changes to drop the sweet cravings. My policy is “better than before”. Within a few more months, they will be ready for the next change. Hope that’s clear. For those of you just needing a mildly cleansing diet and refining, follow the first 2 rules exclusively, and enjoy delicious honey!